ALGIERS- The bill complementing the ordinance 66/156 on Penal Code aims at combating the recruitment of fighters for terrorist organizations, a "threat from which Algeria is no longer spared," said Tuesday Minister of Justice Tayeb Louh. 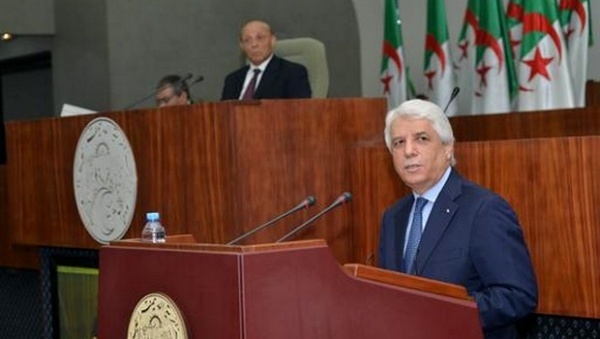 During the presentation of the bill to the members of the People's National Assembly (lower house of Parliament), Louh said that Algeria "is not spared from the recruitment of fighters to join terrorist groups, and this has begun in 90s when a large number of those who were led astray and joined these groups, like those who went to Afghanistan." He added that "this confirms the global nature of terrorism," adding that "Algeria has insistently warned about it since 90s, underlining that terrorism has no country and no religion." "It has been established that terrorism is not cyclical nor regional but a global threat, which is growing due to the imbalanced international relations and the failure of international community to coordinate its efforts in the fight against terrorism," he explained. During the debate, the deputies stressed the need to "define terrorism and assimilated acts." The bill complementing the ordinance 66/156 on Penal Code aims at "adapting the national legislative system to the international commitments, especially the resolution 2178 of the Security Council."